Please find this month’s market updates below. This list is intentionally brief and uses ETFs that are readily available to all investors to represent the major markets. 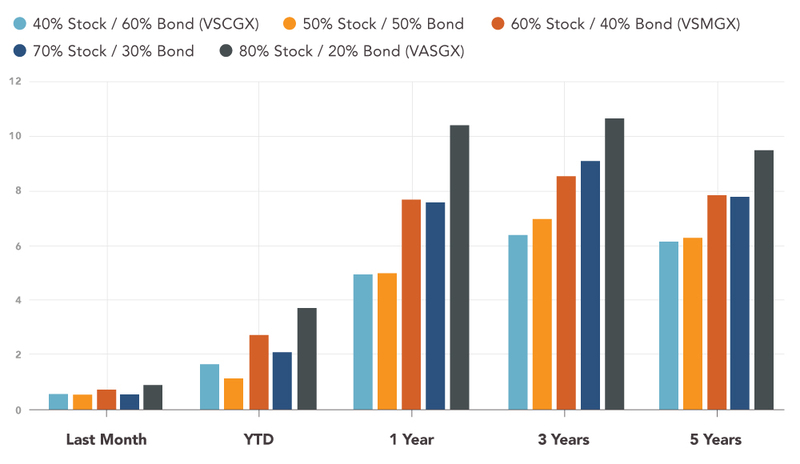 In the second section are five simple portfolio mixes; three of which are described by low-cost Vanguard mutual funds, while the other two are low-cost ETFs. These can be used as a guide against which to compare your portfolio mix. We hope these few, but important data points, are of value to you. Selections include ETFs generally available to consumers. Returns are net of management fees but do not include trading and Advisory fees. Return source: Morningstar. AP disclosure. Global portfolio mixes are Stocks/Bonds and are represented by ACWI/AGG** or Vanguard funds where available. Funds are net of all management fees but do not include trading and Advisory fees. Return source: Morningstar. AP disclosure. Global equity markets were mixed for the month of August with the S&P 500 up more than 3%. International markets were down 2% while emerging markets were down 3% for the month. Trade tariffs continue to worry investors in foreign markets, as a trade war with China looms and the “new” NAFTA deal remains unresolved for now. US interest rates declined in August – a surprise to many – as the 10-year Treasury dropped to 2.85% in August, down from 3.0% at the end the prior month. The US stock market is now up 10% for the year, reaching yet another all-time high in August. However, evidence suggests that investors have not enjoyed the steady market rise. On a given day, the stock market is positive roughly 54% of the time and negative 46% of the time. When you consider the fact that losses feel twice as bad as gains feel good, investors who constantly follow the market will likely feel bad on a daily basis if they check performance that often. In contrast, over any 20 year period, the stock market has never been down. While it is unlikely that investors can avoid tracking the market for 20 years, it’s an important lesson in letting capitalism work its magic and not obsessing over daily fluctuations. 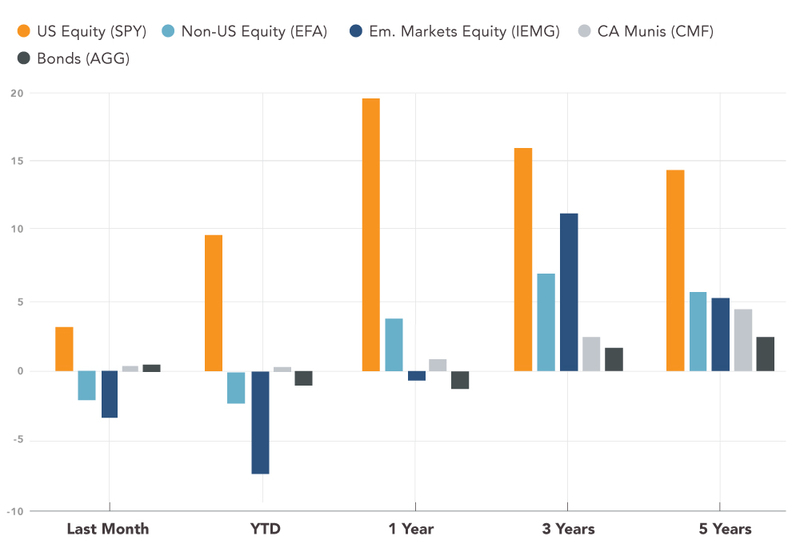 The SPIVA Scorecard is a robust, widely-referenced research piece conducted and published by S&P DJI that compares actively managed funds against their appropriate benchmarks on a semiannual basis.